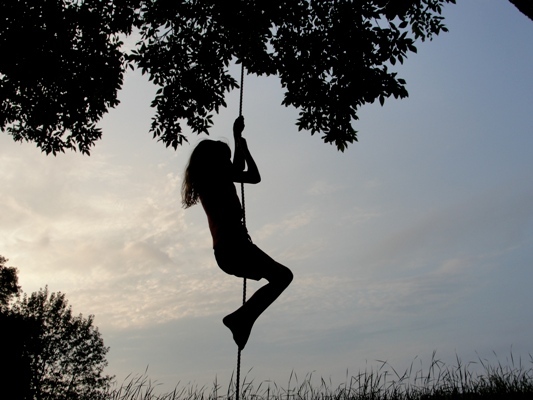 I can remember hanging onto the tire swing rope and swinging like this when I was a kid. 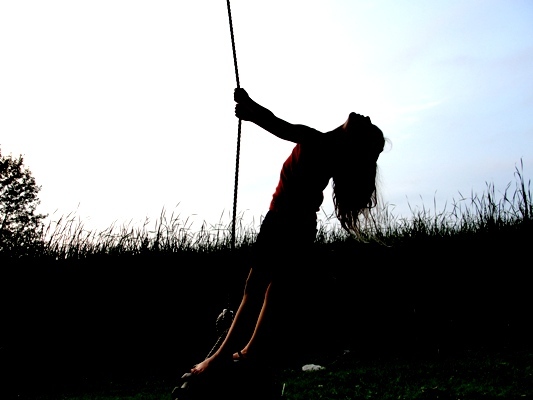 I would swing around until I was ready to throw up but when I tilted my head back and swung around I felt like I was flying. I just had to remember not to do it right after lunch or dinner. I remember that time of my life being so magical. I must have had quite the imagination because I could hang out on that rope for hours just swinging and thinking of things. I don’t know if I was a big climber but my niece was really quite good at it. 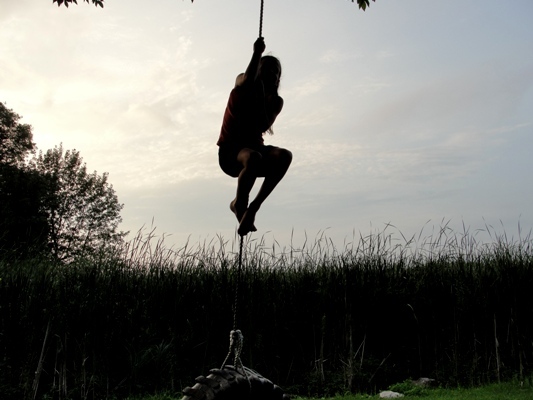 She also spent hours out there on the tire swing just hanging around and climbing. I remember those summers were so long. Now they go so quickly, one minute it is June and then – bang, it’s September. It’s that old age thing. I went on the tire swing for old times sake but felt like throwing up immediately. Of course, the kids were pushing spinning me around like I was some kind of pinata and trust me – if they pushed any more, this old pinata was going burst wide open and they would have never forgotten the time aunt ann threw up spinning around on the tire swing. That’s just an bad vision right there. I really liked this photo. I like the color, the shadowy effect and the climbing position.